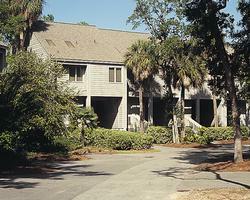 Just off the southern coast of South Carolina is Edisto Beach, where you will find Egrets Pointe Townhouses. With South Carolina timeshare resales, you can own your vacation in a townhouse in this idyllic location and enjoy a fun and relaxing vacation every year at an affordable price. Surrounded by 300 acres of wooded grounds, the resort offers a wide range or recreational activities, including bike paths, tennis courts, fishing ponds, swimming pools and an 18-hole golf course. 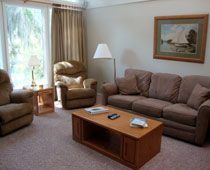 The woods are filled with local wildlife, and Egrets Pointe Townhouses is a gated community on the shores of a peaceful lagoon. Edisto Beach is just 45 minutes from Charleston and two hours from Hilton Head. It may be a dream-come-true for your family to own vacation time at this first-class resort for a fraction of what it would ordinarily cost you. Your private townhouse will have two bedrooms and two bathrooms, with a fully equipped kitchen, Jacuzzi/whirlpool tub, washer/dryer, cable/satellite TV, air conditioning and heating and housekeeping services once a week on request. These South Carolina timeshare resales provide a perfect weekend getaway or a full family vacation. The island is off the beaten path and offers quiet serenity as well as plenty of outdoor activities. 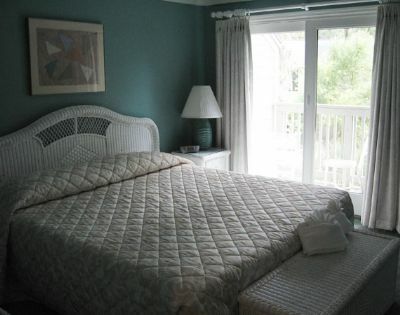 You will live just steps away from access to water skiing, windsurfing and boating. Local attractions include Edisto Beach State Park, Edisto Island Museum, and the island is suitable for a vacation all year-round. The climate is moderate and many people prefer the quiet time during winter. Spring is the time you can visit the weekend art shows and there is great shopping throughout the year. Buying a timeshare at Egrets Pointe Townhouses is a good way to secure your future vacations at today’s prices. You will always have a place to which you can escape the worries of daily life. On the days you don’t feel like cooking, you have a selection of fine dining restaurants with fresh seafood as well as casual places for pizza. If you would prefer to vacation in a different destination, you can exchange your townhouse for a comparable unit at a resort of your choice through an exchange service, adding even more flexibility to your purchase. Contact Egrets Pointe Townhouses Specialist Today! Beautiful place with upgraded kitchen counters (granite). Bedrooms and baths are spacious. This place is in walking distance to pool, miniature golf and playground. This vacation week is during the July 4th holiday. There are bikes available to ride to the beach!